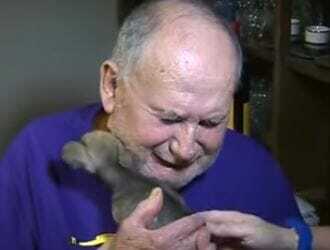 Elderly Couple Was Given a Very Special Gift After Their Beloved Dog's Death. Elderly Couple Was Given a Very Special Gift After Their Beloved Dog’s Death. Dogs are a part of our family from day one till the day they pass away. It is not uncommon to see heartbroken family members mourning the passing of their beloved companion. 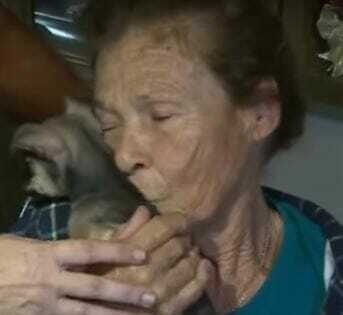 Miguel and Ada Rojas, an elderly couple from Florida had a 3-year-old Chihuahua, whom they loved dearly. The trio was inseparable and no matter where they went, they brought their dog everywhere with them. One day a pack of stray dogs attacked their beloved pet. Sadly, she passed away, breaking the couple’s fragile hearts. The couple was hospitalized after the attack, with Miguel suffering from high blood pressure and Ada receiving 100 stitches when she tried to protect their dog from the strays. Their dog’s death was such a huge emotional blow to the couple, they even had to be hospitalized. While the Rojas family mourned the passing of their dog, their story quickly got around and it eventually appeared on the local news. One viewer was especially touched by their story and decided to help the couple by giving them a special gift. Just the day after the couple had lost their beloved dog, they were gifted with a 9 week old Chihuahua puppy! The couple was overjoyed after seeing the puppy and cried as they have gained a new family member. To the Rojas, dogs are equal family members and even money is incomparable to their unconditional love.